This post is sponsored by Kamik. Being a kid can mean too many things and every person is different. It can mean being innocent and playful. Being a kid can mean silliness and warm hearts. It can mean openness to anything. These are just some of the wonderful things I associate with my childhood and with my three kids’ childhoods as well. Sure, there is much more to it, but this is what seems to stick out the most. Some of the best times I spent as a child were spent outside. Running, jumping, playing tag, and laughing. The fun and the freedom associated with just being a kid and playing outside is essential to having a great childhood. I can’t imagine that this is something that’s even remotely debatable. It’s certainly not for me. It’s an absolute. Fresh air, exercise, creativity, teamwork, competition…it’s all in the mix. The freedom and the fun is second-to-none, don’t you agree? Kids just need to be…kids! What was it like to play outside when we were young? In a recent survey, Kamik found that children participate in over 5-6 structured activities per week. Hence, there is hardly ever any time left to play freely, outside. In fact, children spend 30-35% less time playing outside than their parents did. 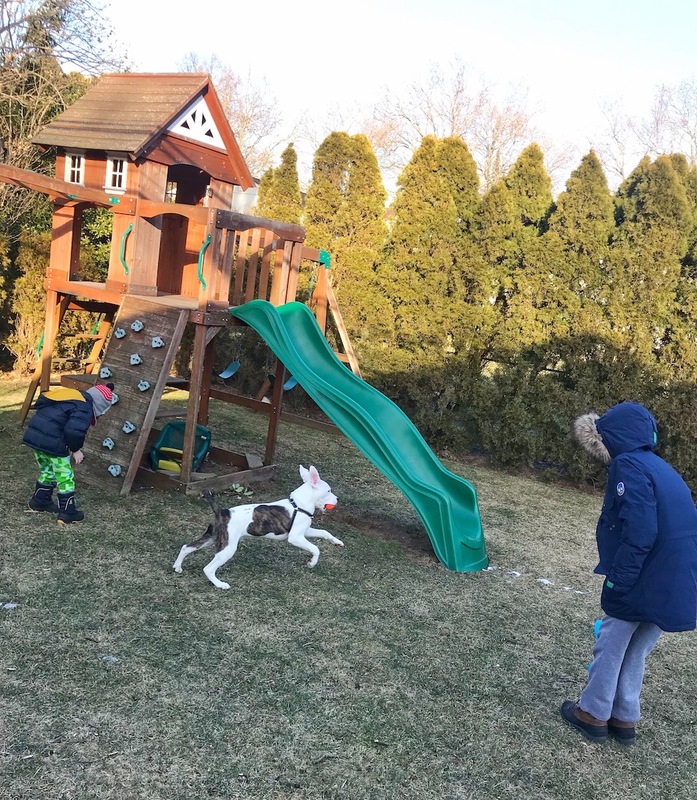 The #FreeYourPlay movement is Kamik’s invitation to encourage parents to step outside the overcrowded repetition of their family’s daily routine and to rediscover an offline-no-agenda creative balance with their kids! I am all about this movement, and support it wholeheartedly. 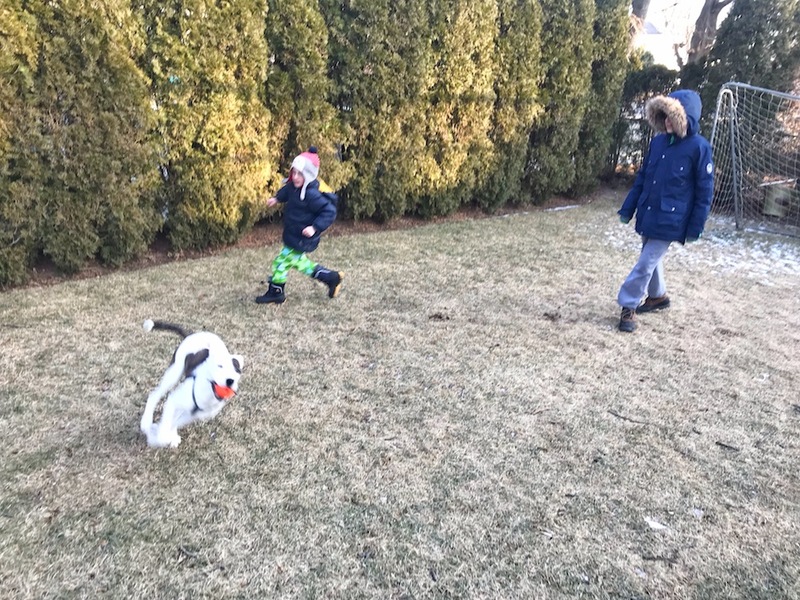 My kids spend way too much time indoors, but I also believe I’ve gotten pretty good at getting them to love outside and being free in their play. I have just a few really basic tips that will really get your kids going. I know you want everything for your kids. I also know that all of their friends are doing all types of things, seemingly, every day. It’s a tough spot to be in, but your kids just cannot have scheduled, programmed, and coached activities every single day. It’s just too much for them, too much for you, and too much for your wallet. Sure, the kids should do some of these things, and make sure it’s with friends, but they just can’t do it all. And you have to understand that as a parent. I bet your kids will understand…and appreciate it, too. What is Free Play? Free Play is unstructured, child-initiated activity that allows kids to develop their imaginations while exploring and experiencing the world around them, often out of the view and supervision of adults. You know, the way most of us grew up playing. Free Play happens when kids call the shots and let their imaginations run wild! I’;m talking about informal games without adults/coaches/referees! Imagine that!! Let them go outside and let their imaginations run wild. Kids playing with whatever they can get their hands on, creating something out of nothing in a safe environment with no adult instruction! Throw some snowballs! It’s ok if they get a little dirty, they’ll live! Whether it’s building a blanket fort or climbing a tree, puddle jumping or snowman building, it’s the spontaneous play that comes naturally from kids’ curiosity, love of discovery, and enthusiasm. It’s really what being a kid is all about! When your kids have fun things to do, it just makes it all the better to get outside and play. We have so much great stuff, from our playset with a slide and swing to lawn games to slip n’ slides to water guns. We have things for the winter, like sleds, and for the summer and everything in between. My favorite is our basketball hoop in the driveway. I really used to love playing, so I would love it if my kids loved it, too…and they do! If you give them fun things to play with outside, they will love to play outside. It seems simple, but it can easily be overlooked. I know this is a huge commitment and I don’t mean to sound like I’m taking it lightly. It’s a great responsibility and a lot of work. That being said, I love dogs and have had them since I was 9. 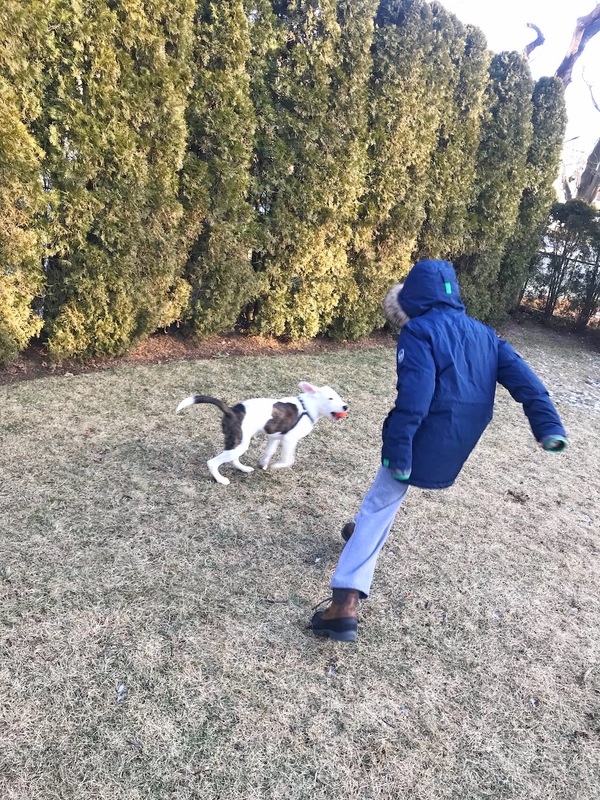 We just got a new rescue puppy named Tucker and he is just a blazing ball of fun!! The kids can’t get enough of him!! They walk him, play with him, and just love him!! We brought him home when he was 6 weeks old. He’s about 5 months old now and he is deeply engrained into our household and he’s a fantastic new part of the family. He’s such and good boy and he can run and play just about all day long. 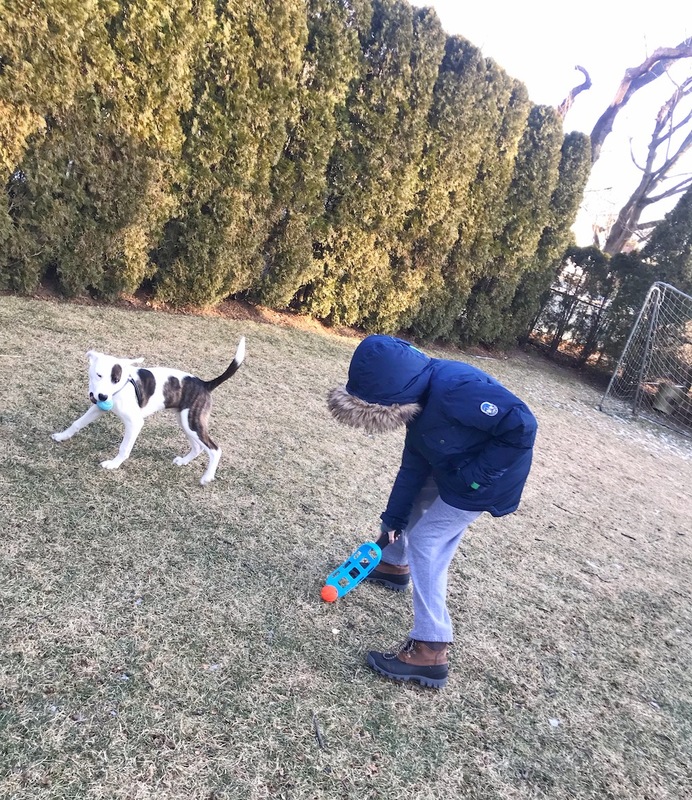 He’s helping our family get outside and have fun, rain or shine! He’s brought so much life and energy inside (and outside) the house and has really upped our play game. It’s pure joy for all of us!! What a blessing! Yep, it’s really obvious, but it has to be done. No matter how much they will whine or complain, you have to do it. Tell them to turn it al off, remove it from their possession, even set your parental controls via device or app to limit their time online. It’s essential, plain and simple. The temptation is too great otherwise. They are just not very likely to tune out on their own. Or, at least, not as much as you would like them to. Kamik is a vital part of what we do to get outside. 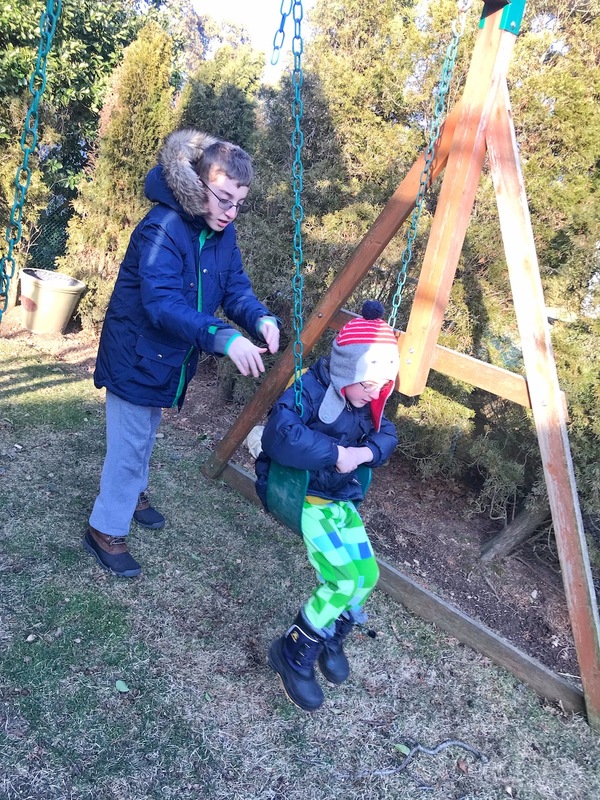 Their rugged boots keep me and the kids warm no matter the weather. We really love them and I love them more for what they are all about!!! 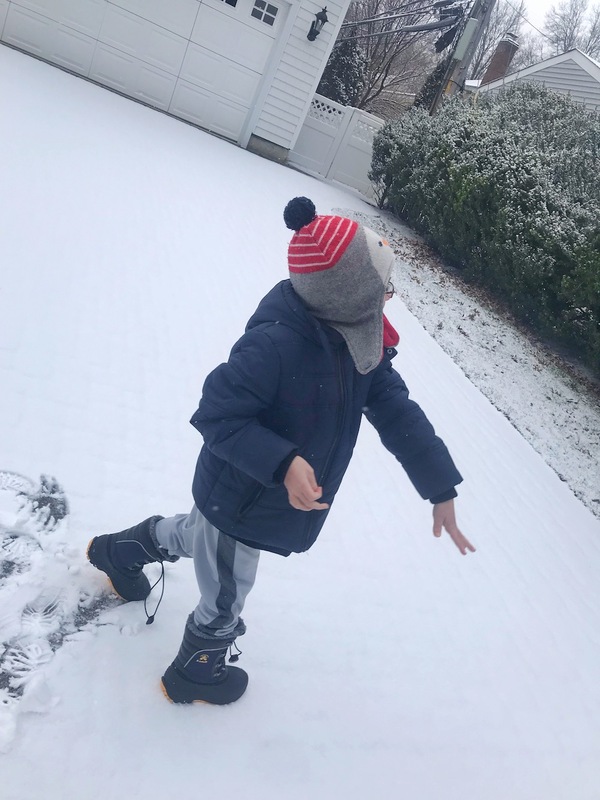 Kamik believes kids today miss the types of experiences we enjoyed in our childhood and that there should be more people embracing the value of outside free play. 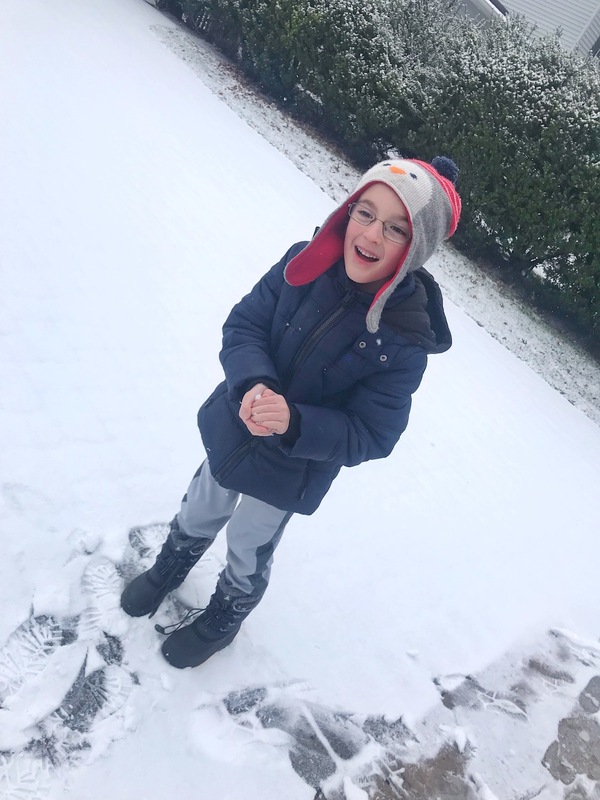 Kamik wants to encourage more families to embrace this idea by providing them with accessible, simple ideas to help their children develop their creativity through playing outside, freely. I could truly not agree more with any of this, and I can’t think of too many things I would love to support more than this!! Parents out there, what do you think???? How do you like to Free Your Play??? Is there anything better than a snow day??? Find out more about how you can really jump-start this effort in your home by visiting the sites below!! Let your kids get out there and feel the freedom we all know they should!!! I love this and I agree 100%! When my kids get to play outside, their imagination comes to life, and they get some energy out. Plus, they love it! As a former teacher, I love everything about this post. I wish I could go back and hand this to every parent who had a child in my school. 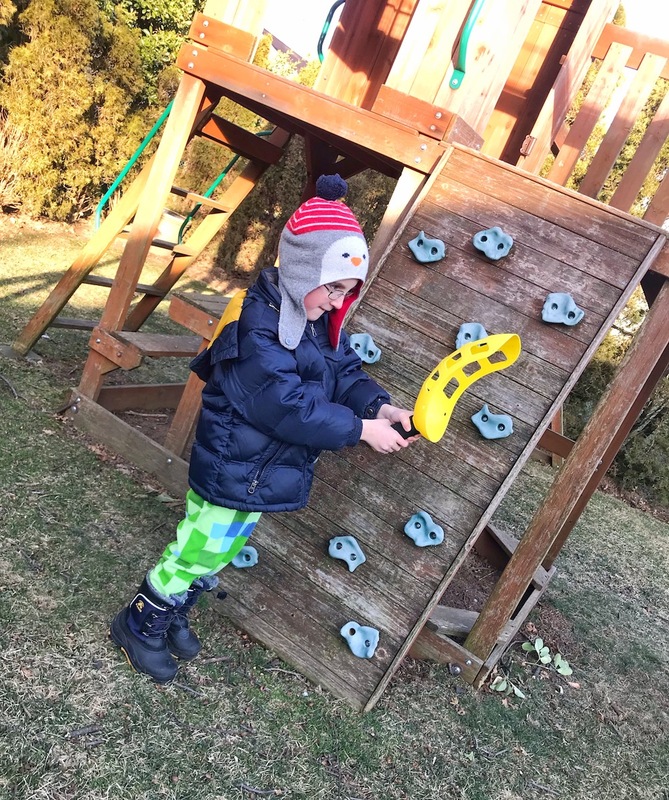 I love how Kamik is encouraging kids and parents to just get outside and… well, play! How fun and I love Kamik products! Go them! We’re in the process of putting stricter limits on electronic device use in our house and the idea of free play sounds like an excellent substitute. I miss the days of riding my bike around the neighborhood and I want my kids to have the same kind of carefree experience. There are definitely moments from childhood I wish I could relive. Most of them were on the playground. Your write up is so very relevant.As they say, let the child remain in you. In whatever form you wish. Yes, I definitely think kids have too much pressure these days. Just getting outside and playing can help development more than anything! I hadn’t heard of Kamik before, but it sounds like it’s encouraging some great things. I think there is a lot of pressure on our kiddos these days. Easier, yet harder than when we were kids. Kids definitely need to get out more! Free play for sure less screentime! I love this! It is so important to get out and play!